YOUR DREAM HOME – OUR EXPERTISE. 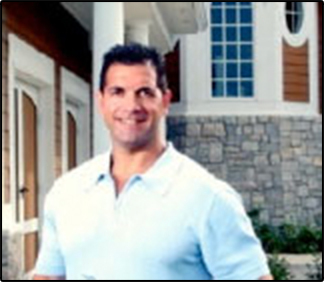 GDG, led by Stephen B. Goldberg, has been at the forefront of the Custom Home Design sector for 30 years. Based in Carmel, Indiana, GDG is a powerhouse in residential design, not only in Indianapolis and central Indiana, but also performs a substantial number of their commissions throughout the U.S. and even abroad. GDG was recently named to the Top 100 Luxury Residential Design Firms in North America. We create homes that are meant to last a lifetime – homes that mirror the personalities of our clients and express the way they desire to live each day. We do a “deep dive” into the wishes of every family member involved and create the special spaces that nurture each individual not only for today, but through the years. Custom homes are our one-and-only passion, and that passion is evident the minute you begin discussing your new Dream Home with us. No one-size-fits-all solutions are rendered here. We question even the most basic assumptions in order to create the perfect home for your family and your lifestyle. From the stylized exteriors, to the lavish, well-appointed interiors, GDG will make every element of your Dream Home come alive. Whether you are seeking a chic Contemporary design, Mediterranean masterpiece, cozy Lake Cottage, or any number of historically informed European or American Architectural styles, our expert designers will add all the layers of detail and function to a uniquely, master-planned layout to give you the perfect, livable design. We have prepared a Design Questionnaire to help you organize your thoughts and and jump-start the process of working with us. To get a FREE copy of the Questionnaire click here. To set an appointment to speak with us about your particular design requirements call 317-582-1430. As a child whose family moved frequently and was often searching for a new home, I began sketching houses at a very early age. By the time I was 7 years old, notebooks were filled with floor plan design sketches. I traipsed through every home under construction I could find, noting the way it felt, how it was constructed, and how I would live in it. I studied every blueprint I could find to see how these things were conveyed on paper. By my junior year in Architecture studies, I was already designing stunning, lake-front, custom homes that were being built in the most prestigious communities in our region. So, it would probably not come as surprise to anyone who knew me early on, that my love for houses would eventually become a successful career designing them professionally. After completing my Architectural studies and graduating from Washington University in St. Louis, I officially set up shop to foucus solely on creating the sophisticated, elegant home designs our clients have come to expect from us throughout Indiana, Florida, South Carolina, Tennessee, Ohio, Michigan, Illinois, Arkansas, and even as far away as the Turks and Caicos and Tanzania. My homes have been featured in several national and regional magazines and have been awarded numerous times, including multiple Home-A-Rama Awards, and an American Institute of Architects (A.I.A.) local chapter Award for Best Residential Design. Most recently, GDG was named to the Top 100 Luxury Residential Architecture Firms in Northern America by Bond Custom, an International Forum representing leaders of Global Architecture and Design. GDG was commissioned to design the prestigious Indianapolis Monthly Dream Homes in 2005, 2008 and 2010 and again for the 2019 Dream Home – coming soon. For 2020, GDG is designing a prestigous golf-front home for the inaugural Sophisticated Living (magazine) Show Home. My ability to capture any period or style of home with equal finesse has set our business apart from other Architects and designers. Whether your tastes are Contemporary, Modern, French, Tudor, Georgian, Italiannate, Greek Revival, Gothic Revival, Spanish Eclectic (Mediterranean), Tuscan, or a myriad of other styles, all will be rendered with exceptional attention to accurate period detail and appropriate scale. Furthermore, not only do we create beautiful homes, but well executed and flowing spaces that enhance the lifestyles of our home owners. Around every corner you will find a focal point of design; the Architecture is designed to frame views, both interior and exterior and make daily living and grand entertaining equally comfortable. No space is left out of the design process. I will create a home for generations of your family to gather and enjoy. *GDG’s services during construction are owner elected and require additional fees.